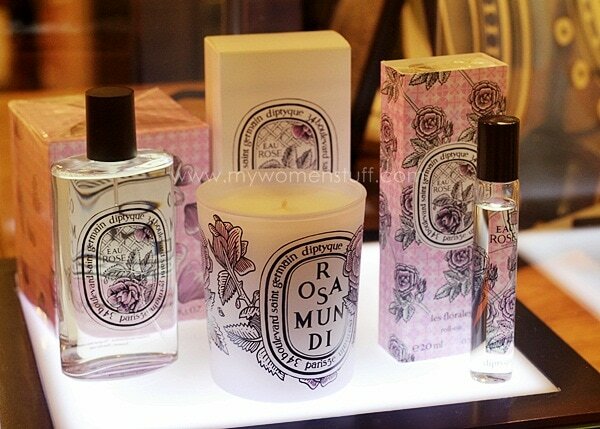 Home » Fragrance » Diptyque in Malaysia : Simply Scent-sational! 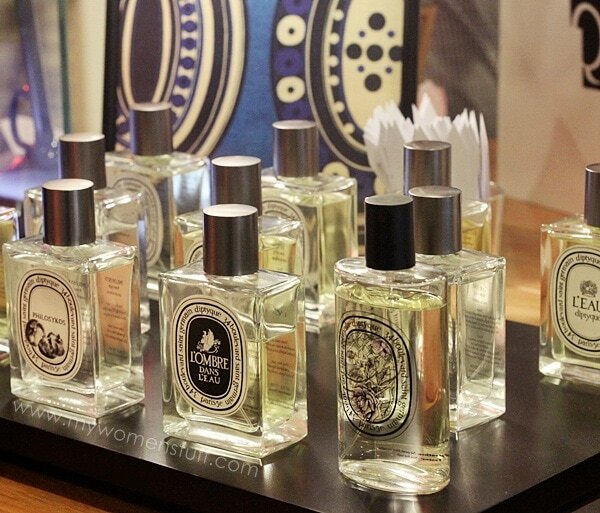 Diptyque in Malaysia : Simply Scent-sational! I have a soft spot for home or room scented candles. Good scented candles can truly create a relaxing environment and makes a home feel warm and homely. Well, warm isn’t quite what I’m looking for here in the tropics, but I’m sure you know that warm cosy feel you get when you step into a lovely scented room. So when I found out that Diptyque candles were available here in Malaysia, I got a bit giddy about it 😀 I missed the pop up store that they opened up last Christmas but I was pleased to know that they are now permanently available here. Whee! I also learnt from a visit to one of their counters/stores, what “Diptyque” means, why the names on the labels look so unreadable, and that they do more than just candles. I had 2 important questions posed to the people from Diptyque. 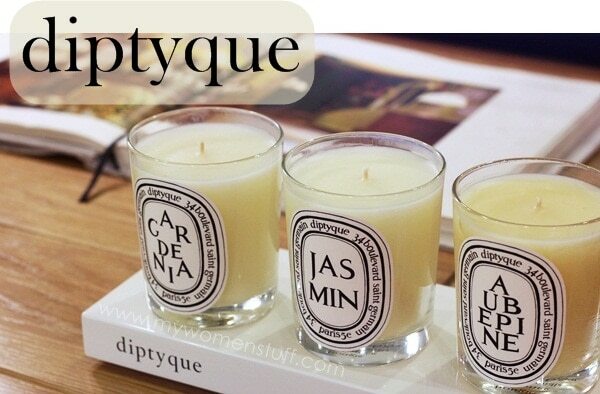 The first was, what is “diptyque” and why the name? I was told that the creators of diptyque are in fact, artistsans who in 1961 opened up a shop in Paris, France at No. 34 boulevard Saint-Germain to sell their fabric designs and items they had sourced from overseas during their travels. They then started making scented candles that everyone fell in love with (and you would too if you love candles!) and the rest as they say is history. Answer: This again is the brainchild of these artists and the brand has stuck to the original design. We just don’t know how artists’ minds work right? Also, the names are all in French, and unless you already know what the names are, or unless you can read French, it is near impossible to discern what the names of each candle is. I also learnt that you can pick up the complementing room spray fragrances, if candles aren’t your thing or if you want a very quick way to refresh the air. The room sprays are very light and fragrances the air quite quickly so it is nice if you have guests coming and your candles haven’t had time to fragrance the room, or if you’ve run out of candles or if you just want to look effortless about it 😀 I couldn’t decide on a fave so I’m going to have to go and sniff them all again. This one can be quite easily pegged for a woman’s fragrance. Or even a young woman, because the scent is very fresh and light although noticeably that of roses. The labels are beautifully illustrated and each fragrance is inspired by the places the creators travelled to. Hi Paris, I love reading your blog because your comments are candid and fun! Right now I’m browsing through some of your old posts and found this. Is it true that L’Artisan is coming to Malaysia??? OMG!!! I’ve gone bonkers lately and decided to go after niche perfumes because I find the usual suspects in departmental stores are too artificial and cloyingly sweet for my sensitive (perhaps snobbish?) nose! I haven’t the time to pop by Diptyque yet but it sure sounds divine! Thanks for sharing! Hi Angie, I was told that L’Artisan was coming (or maybe already here) but I haven’t personally seen it myself so I can’t be sure, sorry! 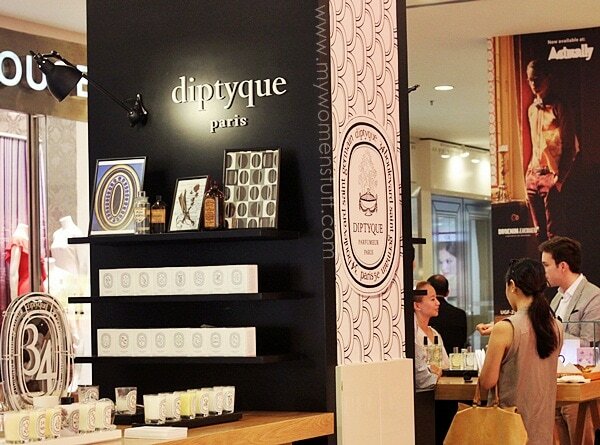 Diptyque is at Bangsar Village 2 and Isetan KLCC and also Ken’s Apothecary stores. I am a bit like you too – most commercial scents are a bit too similar for my tastes so its nice to go for something a little more unique – albeit pricey! I am hoping to get a mini size of their candles and a few of their roll-on perfumes when I make a visit to Kuala Lumpur (which won’t be until SPM’s over). I appreciate roll-on perfumes more, especially if one has multiple number of perfume. They finish up faster and very handy for travelling, I can pop it into my handbag whenever I go out.